I am so honored to be one of the Spiritual Teachers/ Co-Authors who have collaborated in Dr. Monique E. Hunt's new book, "Village Pearls, Scared Practices to Nourish your Soul"! There are over Thirty Spiritual Practices, Twenty-one Authors and Spiritual Teachers and 20 Gifts, all in one book! It includes my segment on creating Sacred Space. I open the book by inviting you to explore what Sacred Space means to you through creative and playful ARTsignments™. Then it is full of a variety of beautiful Sacred Practices to explore. 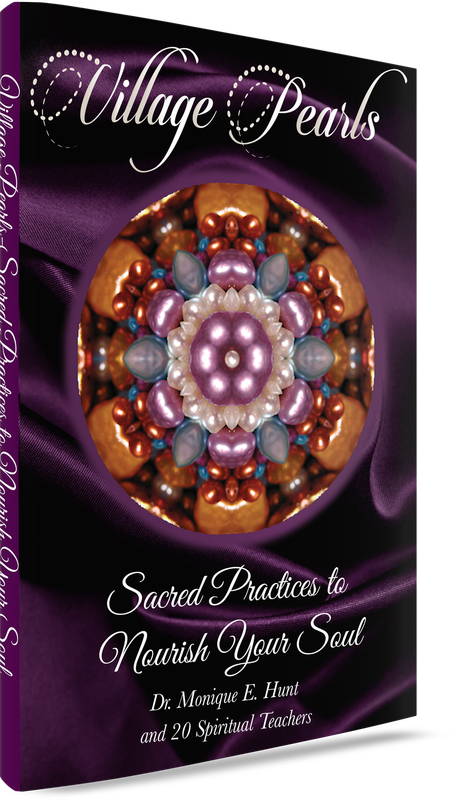 The Spiritual Practices shared vary and are perfect to help your incorporate a daily Sacred Practice to infuse your own spiritual journey. I have so enjoyed the journey to get this book out into the world, with Dr. Monique. I'm honored to have my photography and design featured on the cover and throughout my shared Spiritual Practices. Don’t have a Kindle? No problem. You can download your copy to your PC or using the Kindle App to your tablet, phone or iPad.